Dancing Classrooms has been changing lives through the art and practice of social dance for 24 years. As we begin our 25th year of bringing the joy of dance to New York City schools, we recognize that we can’t do this without the support of individuals who give meaningfully of their time and treasure. Dancing Classrooms is made possible through the generosity of many individuals; we invite you to join us by making a contribution to our efforts to provide this internationally known and respected social development program. During the 2014-2015 school year, support from individuals such as yourself helped us provide the program to 25,000 children in over 200 NYC schools, and over 50,000 children in 600 schools in 29 US and international cities. children in 600 schools in 29 US and international cities. Your donation will not only help us provide the program to school children, but you can also assist in providing training of our Teaching Artists, funding our Dancing Classrooms Academy weekend program, supporting the Colors of the Rainbow Team Match, or helping us expand our National Network. For more information about these giving opportunities, please contact Rodney Lopez at rlopez@dancingclassrooms.org. In celebration of our 25th Anniversary, we are instituting new giving circles that create an opportunity for our friends to make impactful gifts and help Dancing Classrooms expand its network of supporters so we can deliver our program to many more children over the next 25 years. 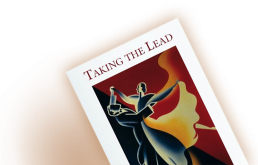 Members of any of these giving circles will be recognized in all appropriate Dancing Classrooms promotional material, including our website, Mad Hot Ball Gala Journal and more. We invite you to join one of the giving circles listed below. 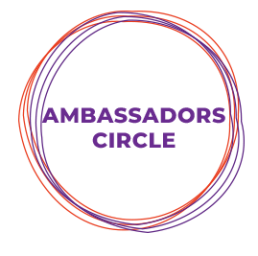 Ambassadors commit for three years to making a minimum, annual $1,000 donation. 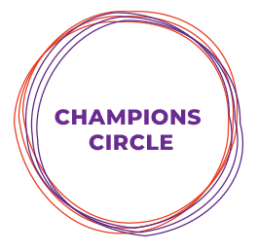 Champions commit for three years to making a minimum, annual $5,000 donation and raising an additional $2,500 from others. 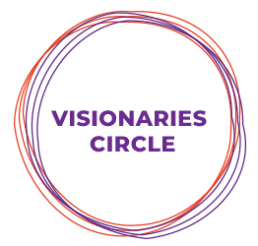 Visionaries commit for three years to making a minimum, annual $10,000 donation.